It feels like it’s been a long, long time since I was a new player. To be perfectly honest, I can’t remember why I joined the game, but my corporate history suggests I was a Fw4pper and then, after a typically short time, a 5punker. This was a forum I was on, so I must have heard about spaceships and joined. 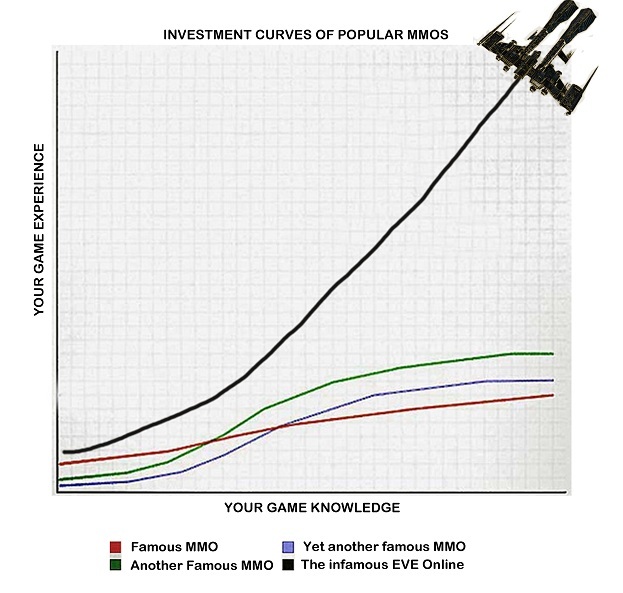 EVE was my first MMO, and I went in with no expectations. As it happens, it changed everything instantly. Unfortunately, it was boring and I quit. It must have been the samey, repeated L1’s that pushed me over the edge. I felt the call return with friends at university, but our mining corp folded when the others gave up. Next I went to nullsec and eventually I found my way into a supportive corp. I was showered with ISK, exhumers and mission running ships. Someone explained to me that missions actually have progression with standings. Everything made sense for a second, and then I discovered something else to learn about. I’ve been here ever since, slowly improving, learning and broadening my horizons. What I’m trying to say is this: for me, and many others, EVE had promise but took a few years of on/off determination to be able to play it properly. This is not a good new player experience – this is relying on people of the ‘right mindset’ to keep trying hard to become your customer. I’ve never walked into a shop I like the look of and thought “Nah, I don’t really get what you’re selling to me” – it’s always carefully arranged to draw both you and your wallet in. Currently CCP have wood on the windows, letting only the most curious in. Of course, out in nullsec, the problem is multiplied – Goonswarm love newbies, and we work hard to keep them in our midst. In the new hashtag and buzzword driven era of the “Apex Force” and “Power Projection”, we’re terrified that the relevance of the newbie is fading. Every Rifter no longer counts – the entry requirement to many of our fleets has become a T2 frigate. For a newbie, 10 days is a long train, never mind supports, weapons and all the lost time that goes with them. To a beginner, nullsec is overwhelming. When you join the ‘swarm, there is a huge quantity of information thrown at you and our expectations are high. For an experienced player joining the forum, installing and understanding Jabber and Mumble, setting your overview up properly and joining in-game channels is hard enough. Add in a very limited knowledge of the game, its mechanics, why people fit armor plates and hardeners when your ship has a shield, racial weapon systems or titan bridging and you get very confused, very lost and very upset quickly. Being told to read the excellent goonwiki doesn’t help when you’ve hit that stage. I briefly touched upon this last week – in the SIGs we provide a nursery for newbies. A few friendly faces with an organised structure makes everything much, much easier – if you feel confident enough to ask stupid questions to them, you can get to grips with the spreadsheets quickly. Using my pet example: in Space Violence, we give away skillbooks for a 60 day skill plan. We also assign a mentor, if you ask nicely, to hold your hand through the early stages of the game. There are free ships to keep you from needing to waste time generating ISK too. These take stress and pressure off the early days of learning the game. You can jump in, fly things and learn your virtual passion over time. Newbies are welcome all the time as we rarely do ~apex force~ things – when we do, hero tackle is always necessary. One of the problems that new players (now graduated from newbies) stumble across is learning the immense breadth and depth of gameplay styles in EVE. Even interacting with other players properly can be a challenge – dedicated nullbears are indoctrinated in our sov-centric point of view and rarely consider other styles as valid, for example. FW, Incursions, W-Space, Missioning and Mining are often mocked. I’ve heard rumours that some people find this quite antagonising, and rightly so. It’s not nice to be told you’re playing EVE wrong by someone who hasn’t tried your version of EVE. This is may be a failing on our part to teach our players that there’s a whole game out there beyond our borders and war zones, but I’d argue that CCP aren’t pushing those features at new players effectively. Take our very own Niden as an example – he has a very similar history with EVE to me, and discusses it in his latest piece. Having tried and failed with that curious determination several times, Niden finally found somewhere after 7 years and became a loyal customer. Not because he spent a long time touring corps and learning all the playstyles, but because he wasn’t educated about just how low the entry requirements could be. It sounds like it was hard work to actually stumble across a group that he became passionate about. Of course, this is hard to fix for CCP – you can’t just filter people into the ideal corporation with minimum effort and perfect results. The corp recruitment interface is convoluted and difficult to comprehend, and sadly cannot take into account personality traits – I’m sure some GSF alt corps would manage to fit everyone’s criteria and abuse the system for profit. Finding a new or first corp is an intimidating process if you only use in-game tools – this probably contributes to the fact that only 10% of new players join larger corporations. Perhaps it would be simpler to introduce new players to friends with the social groups previously suggested by Mangala. In my experience of these in their current form (TVP incursion group, Bombers Bar, CFC Sig), they are a much easier community to break into. You find like-minded people, ongoing discussion and fleets to x-up for. Fun, friends and most importantly, engagement. These communities are where I’ve always preferred to recruit from. I can get to know someone better, watch how they fit into the group, making a decision based on how they interact with us, and I know that others do the same. In allowing these social groups to be more formal CCP will give new players an easy, interest-defined way to find players of a similar mindset without the stress of applying to strange new corps. “I want to learn FW, I’ll join this group” and “I want to incursion too, I’ll join this group” are much friendlier concepts, I feel, than “Active incursion corp, EU timezone, low tax rates – invite only”. A shorter term fix may be assigning ISD’s with the task of teaching newbies about the wider EVE universe in a way similar to our mentor program. A friendly face to talk with, ask stupid questions to, be guided by and learn from, is always beneficial. After a while, the ISD could suggest a playstyle to try or a community to join based on the player’s interests. Following both Niden and the SV examples from earlier, some free ships, mentoring and helpful friends, can save the game for people. For many, engagement makes playing a worthwhile experience, not just wash, rinse and repeat missions. New player retention is a lot of business-critical work for volunteers and players to be assigned, and it comes with a high rate of burnout for those working hard at it. Some investment in dedicated staff may give us all a better, busier universe to live in and CCP a stronger business overall. Learning the basic mechanics of the game is a long, slow and hard process. To someone who isn’t a gamer, learning about the correct tank, appropriate weapons and utility modules is hard but rewarding work. I definitely lost more than my fair share of dual tanked laser Atrons because, well, lasers are cool and space-y and I had a Gallente character before someone highlighted my stupidity. The recent ‘Mastery’ feature update has been a great teacher for some players and an excellent support for others. It displays information about what is needed to fly a ship very clearly to support an explanation or exploration. Similarly, a new player can now pick a ship in ISIS, train towards it, and pick up useful support skills along the way. This kind of goal-setting, self-driven learning is beginning to reveal its rewards for the game. Almost all the new players I’ve met who have had that as their reference point since day 1 are much more informed and educated about mechanics, skills and invested in their ship-based goals than players just six months older. It was mentioned at Fanfest that there are plans afoot for an in-game reference. This must be carefully written to complement the information in tooltips and have a sensible workflow guiding users towards it. It could be an incredibly valuable asset for almost all players, especially if lore is written in. Evelopedia version 2 – this time, professionally maintained. 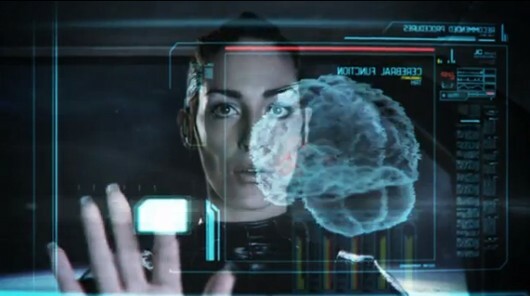 With Opportunities, the NPE overhaul announced by Rise in May, CCP have a great chance to turn a worst-in-class experience into a new, immersive and exciting introduction to EVE Online for many. There’s been lots of discussion about it recently – while it won’t visibly affect the game in a way that rebalancing supercaps or fixing sov will for the loudest voices, people are acknowledging the importance of growing our universe. In his presentation at Fanfest, Rise identified that players need to be educated about the universe, how the game works, and how to build social bonds with other players. It was also stated that the current text-heavy method of learning was ineffective for many players and tooltips were shown as an improvement. We’re seeing the fruits of this labour now in an uptick of interest in industry, as the new interface was written with these principles in mind. I’m hopeful for significant improvements in the NPE based on CCP’s comments and what I’ve seen so far, but I’m not holding my breath. When one of the goals of a new feature is simply to “meet expectations”, I can’t help but feel it’s lacking in ambition compared to what our universe has to offer new citizens.